We are proud to announce that legendary bassist Jah Wobble is the latest artist to become a patron for Show Racism the Red Card’s ‘Musician Against Racism’ campaign. Jah Wobble’s music is impossible to categorise, other than groundbreaking, innovative and excellent. As a fan of dub reggae, he started playing bass at 17. He soon joined John Lydon to form Public Image Limited (PiL), their first release ‘Public Image’ reached the Top 10. PiL had further chart success with their eponymously titled debut album First Issue. Rolling Stone magazine includes PiL’s second album ‘Metal Box’ in their ‘Top 500 Greatest Albums of All Time’. PiL’s early output is characterised by Wobble’s bass which was a propulsive Rock/Reggae synergy. After PiL, and before the genre became in vogue, Wobble became a well respected musician working with Eastern and Global music. ‘Jah Wobble and the Invaders of the Heart’ included singers Ali Slimani and Natacha Atlas, whom went on to have further solo and collaborative success. Over the past 25 years he has worked with a diverse range of musicians including Primal Scream, Sinead O’Connor and Bjork. Following chart success in the 1990’s, he left Island Records to form his own independent record label 30 Hertz Records. He has since released critically acclaimed albums fusing his distinctive dub bass with traditional Japanese and Chinese music. His vast output of albums has included Jazz, Indian and ambient music. In the mid 90’s he released an album of William Blake poems and The Celtic Poets, a collaborative album with Irish singers. Ten years ago he recorded an album of English Roots Music. Jah Wobble has written book reviews for The Times and was a regular contributor to the Independent on Sunday. In 2009, he published his autobiography ‘Memoirs of a Geezer’. He recently re-united, recorded and toured with ex-PiL guitarist and friend Keith Levene (Levene played in The Clash prior to joining PiL). Levene and Wobble have released two albums over the past year ‘Psychic Life’ and ‘Yin and Yang’, the latter due for release in November. 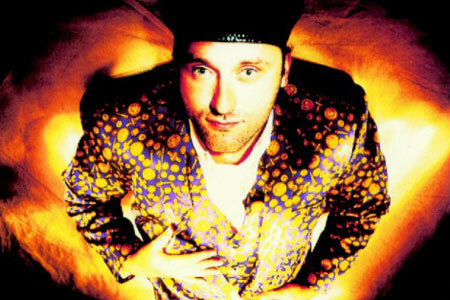 Jah Wobble is a season ticket holder at White Hart Lane and since moving up north, has become involved with his local team – Stockport County. Chief Executive Ged Grebby said of the newest addition to the campaign: "Jah Wobble is a hero of mine, having been in the legendary band Public Image Ltd. It's fantastic to have a living musical legend as part of our Musicians Against Racism. We hope to be able to launch Musicians Against Racism on our website in the very near future." Jah said of the campaign: "The beautiful game should transcend all prejudice"